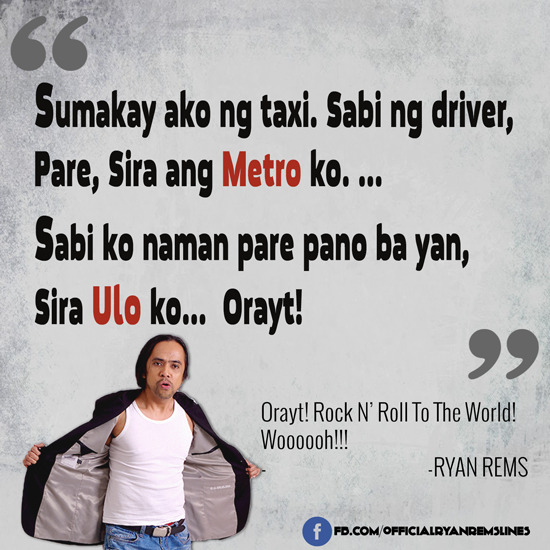 Ryan Rems Sarita "Rock and Roll to the World" is the Grand Champion of the "Funny One" in showtime. 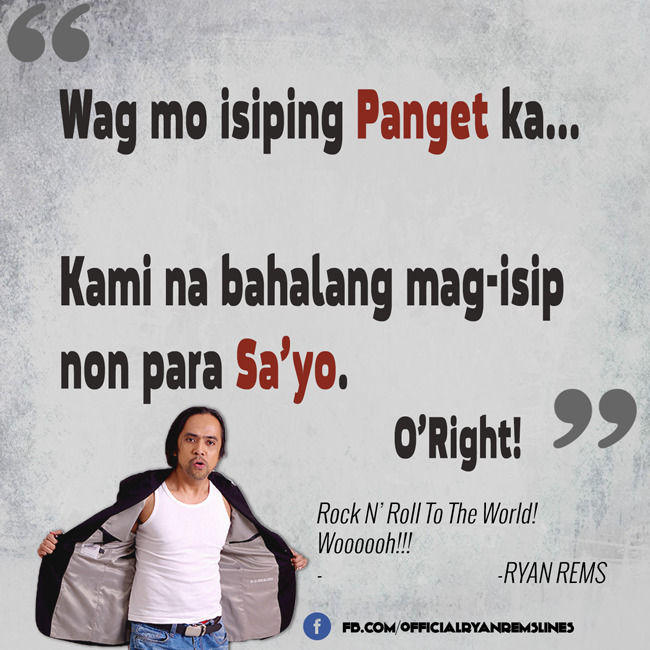 Allow me to introduce Ryan Rems brief biography and wikipedia. 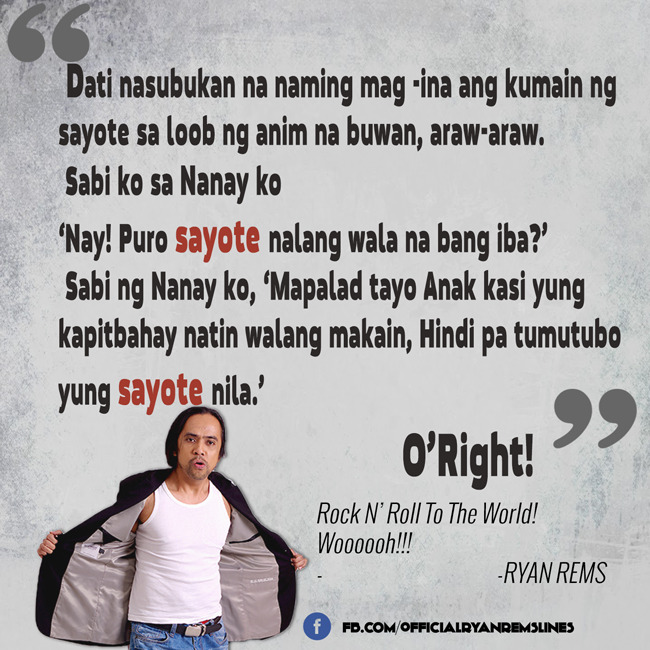 Ryan Rems original name is Ryan Sarita who is the champion of the Funny One held in showtime ABS-CBN and known for his Rock n Roll the World after he made his original jokes. 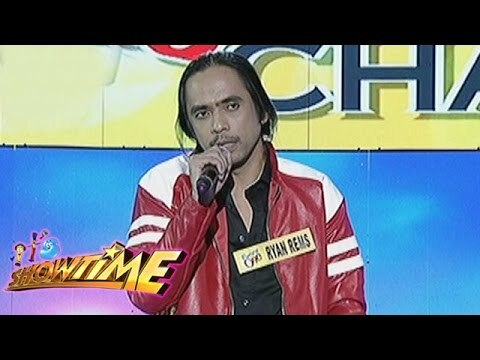 Ryan Rems performing a stand up comedy act in It’s Showtime The Funny One segment is now viral in the internet. The aspiring comedian known for his famous Rock and Roll to the world jokes and lines is now the crowd favorite to be the first ever winner in the segment dedicated in searching for the newest comedian. His pieces are always personal, crude, and sometimes, ‘below-the-belt’ with casual mentions on drugs and adultery from time to time. But they all carry a sense of authenticity.For you to know who he is, here's the pick up lines and quotes that is original from him. 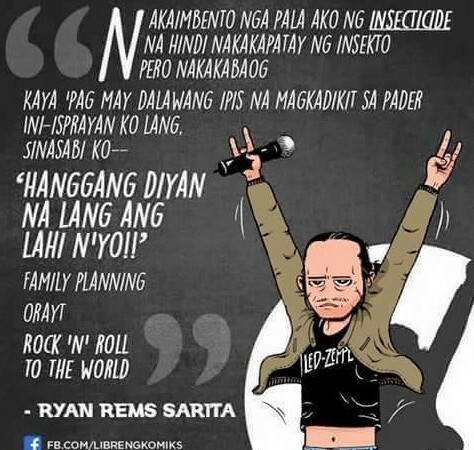 "...hanggang diyan na lang ang lahi nyo!..." 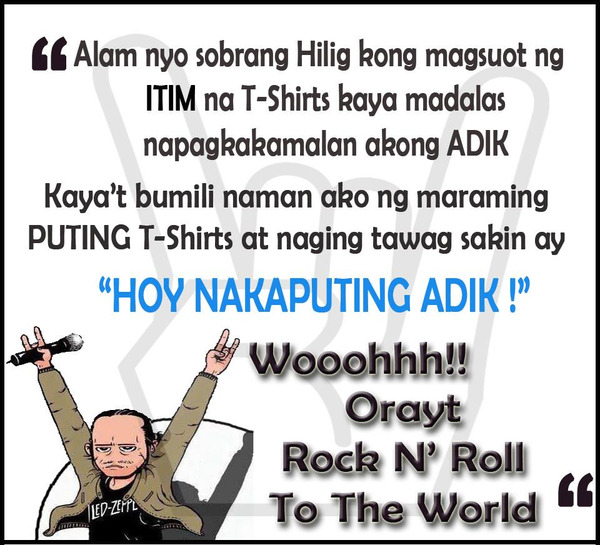 "Rock in Roll to the World!" "Hindi pa tumutubo yung sayote nila!" 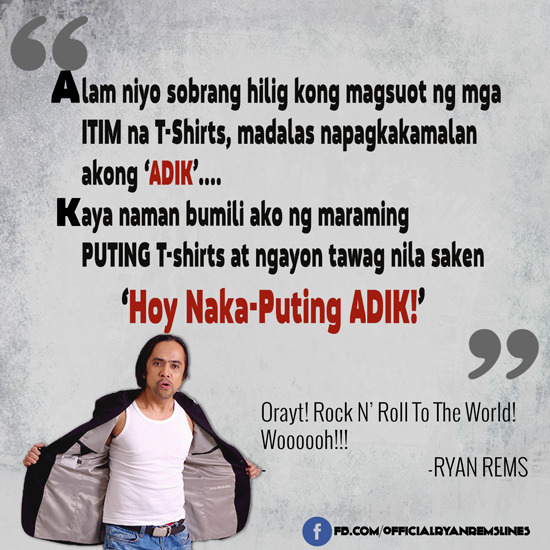 This is all about the Ryan Rems lines and banat quotes and short wikipedia of his " Rock n roll to the world! ".